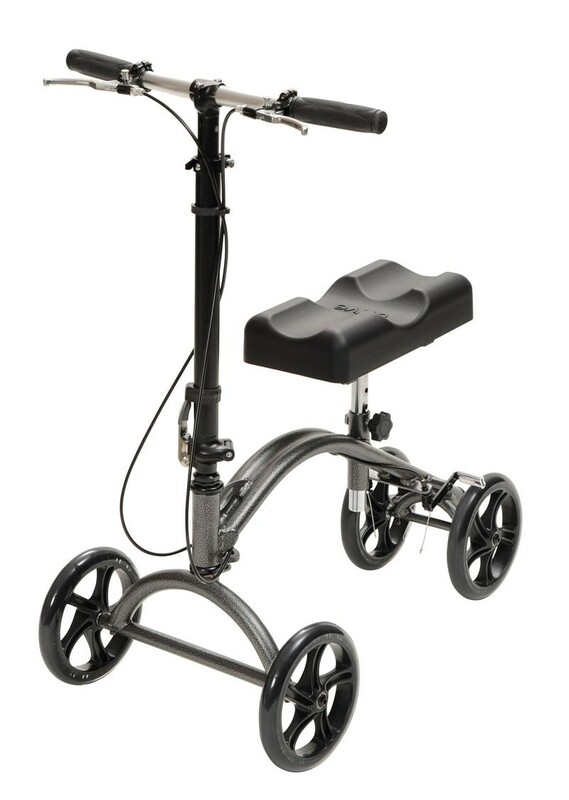 The Knee Walker provides a comfortable pain free alternative to crutches and is ideal for individuals who are recovering from foot surgery, breaks, sprains, amputations and ulcers of the foot. Weight of unit is approx. 19 lbs. Max knee pad height 21.5"